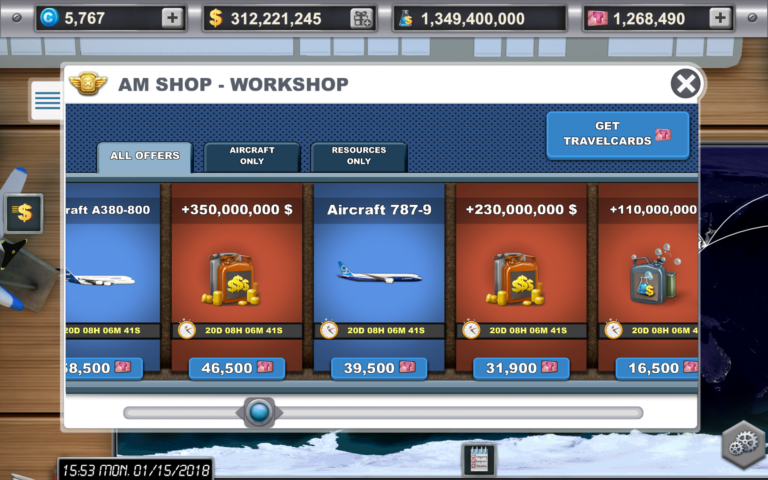 Airlines-Manager.com • Afficher le sujet - [Mobile update] The Workshop gets a new look in the 2.6! The version 2.6 of the application is available on the stores with beautiful features to discover! The Workshop gets a new look! The Workshop design has been entirely reviewed to offer you a better use comfort and more possibilities! In concrete terms, the two workshops you used to know merged into one workshop to optimize bonus sorting and make your choice easier. The availability periods of the different bonuses remain unchanged for now, but there will be a greater diversity in expiration times with a new update that will be released in the first quarter of 2018! You can see the remaining periods of time to take advantage of each bonus in their presentation box. Enjoy the features’ discovering and good flights to you all!